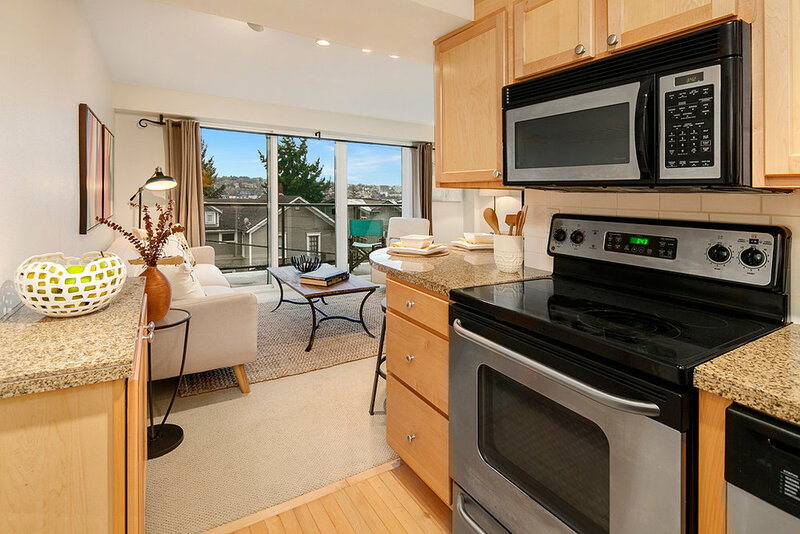 Move-in ready, contemporary, end unit urban oasis in desirable Queen Anne! Breathtaking balcony views of the Cascades + downtown Seattle. Maple hardwoods in entry + kitchen. Granite countertops, SS appliances, brand new carpets. 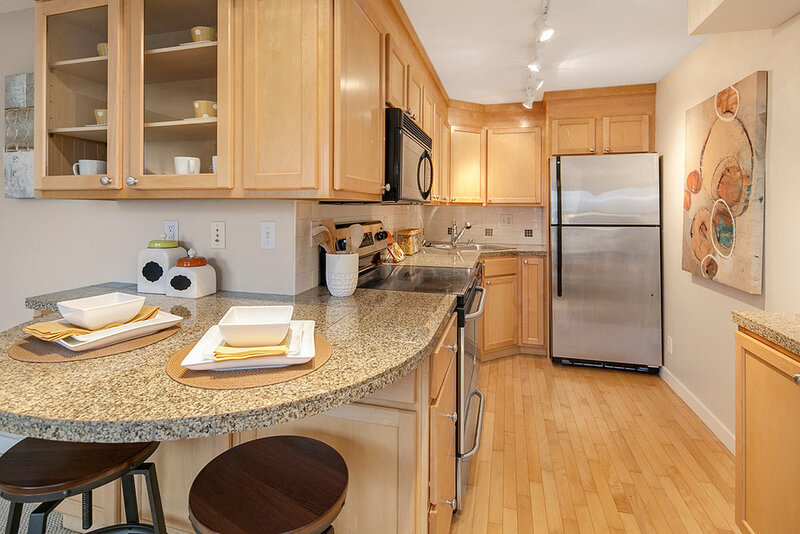 Sits on bus lines 3,4 w/ direct access to downtown + Upper QA. Perfect for in-city commuters! 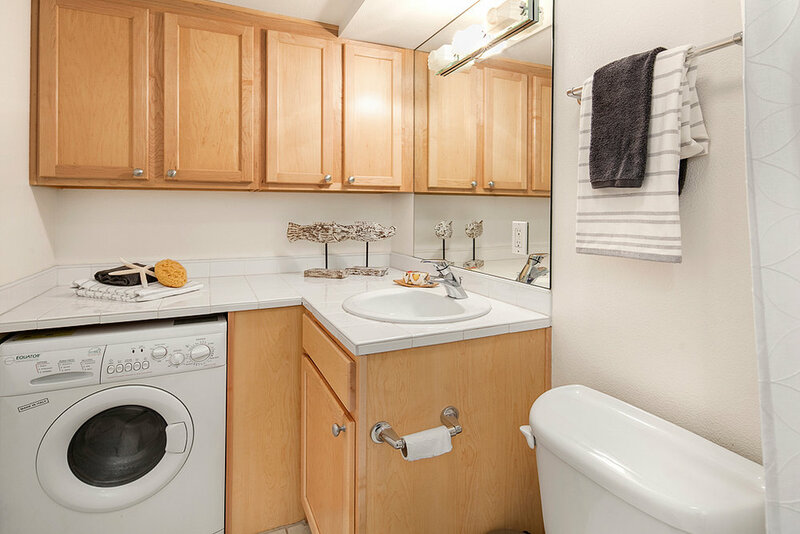 Washer/dryer hook-up in unit + extra laundry rooms, storage, secure entry, rooftop deck for entertaining. The building was fully renovated in 2004. Low HOA dues. Pets welcome.